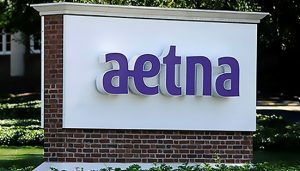 Effective July 1, AETNA is withdrawing from the individual market (due to large losses) and from the small business market. In NJ, you cannot be in the small business market if you are not selling individuals. If you are currently insured under AETNA as a small business, your insurance will end upon your renewal – on or after January 1, 2018. The company reported a $200 million pre-tax loss in the second quarter, the bulk of which they attribute to ObamaCare individual plans, and specialty drugs. This entry was posted	on Monday, May 15th, 2017 at 1:09 pm	and is filed under Health Care Reform. You can follow any responses to this entry through the RSS 2.0 feed. You can skip to the end and leave a response. Pinging is currently not allowed.